For those unfamiliar with the situation, he was originally drafted by the Kings in the fourth round of the 2012 NHL Draft. 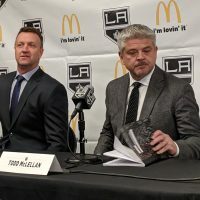 A few months later he began the 2012-13 season in Manchester, with the Kings top minor league affiliate – only to have the KHL pull the rug out from under him. 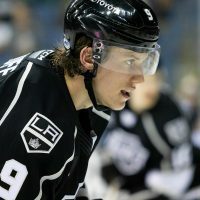 One of the reasons Kings GM Dean Lombardi and his staff have been so comfortable taking Russian players in the Draft is they feel they do the proper amount of homework, avoiding what most clubs call ‘the Russian factor.’ In Prokhorkin’s case they felt they did just that and were confident he was not bound to any deals in Russia. Low and behold, after he was already in Manchester and playing regular season games, the KHL produce a contract that was allegedly signed by his father before he turned 18. 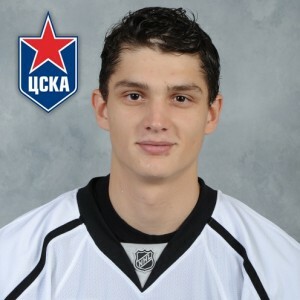 It bound him to CSKA of the KHL until the summer of 2015. In brief, the Kings and the NHL initially tried to fight it. However, after exhausting several legal options, the NHL and their member club opted to let him return to Russia. 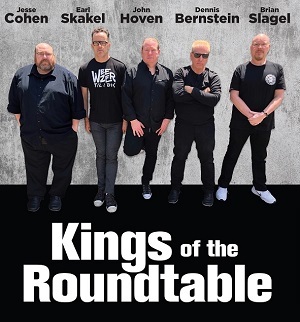 Why would the Kings go through all this trouble over a fourth round pick, you may be asking? That should give you a strong indication of the kid’s skill level. For a cheap and easy comparison, think Alexander Frolov, only tougher in the corners. Last season, he posted 37 points (19 goals, 18 assists) in 52 games and was a KHL All Star. Even more impressive, as essentially a rookie in the league, he was getting more minutes than several well-known veterans on his team. Hence the excitement that ensued stateside when word leaked out a few months back that Prokhorkin was buying his way out of the final year (2014-15) of his KHL contract and openly stated his intentions were to come back to North America. In fact, a deal looked to be in place for him with the Kings – only to have the KHL once again cry shenanigans. This time around, they claimed he didn’t file his termination papers early enough. Apparently, he needed to file them a few months earlier. So, where has this left things? 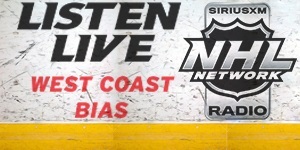 Well, KHL camps opened yesterday and we checked in with Dmitry Chesnokov, our all-knowing hockey expert (heard on West Coast Bias here). Chesnokov reports that Prokhorkin’s agent Andrei Mukhachov met with CSKA General Manager Sergei Federov yesterday and the two sides are working towards a new contract that will keep him in the KHL, most likely for one year. At this point, Prokhorkin appears to like that option, as it would pay him more money than he was making and allow him to further develop his skills, without having to spend a full season in the AHL. It’s a bit of an awkward situation, as Chesnokov says CSKA is claiming they want him to stay, but aren’t demanding that he stay. Also, Fedorov believes Prokhorkin should play one more year in the KHL before heading to North America. For the cynics, there is always the possibility Prokhorkin is using the idea of playing for Los Angeles as leverage, just to get a better deal in the KHL. Most believe that isn’t the case, including Chesnokov. When a new contract is signed between CSKA and Prokhorkin, which is expected soon, we’ll likely have the final answer. Another year in the KHL probably won’t hurt him, and on the contrary, may prove beneficial as he should get physically stronger as he matures. It’s quite possible DL was going to move JW in this off season until he had produced so well in the playoffs. If JW had been dealt it would have opened a spot up on the wing which is now not available. Both JS and JW are entering the last years on their contracts and DL will have to scramble in order to keep them. Chicago agreeing to pay Toews and Kane that much money will drive Kopi’s new contract up. DL is also facing new contract commitments to JM, AM, TT, and TP in the near future. As also reported at Mayor’s Manor, is Bobby Ryan possibly headed to the Kings as a free agent after next season? Another problem is if DL doesn’t start integrating new talent into the team on a consistent basis some of it will begin to wither on the vine, and or leave. If a player is truly ready for the NHL you must move him up to that level relatively soon or he stops getting better. The Red Wings walked that line pretty well for a long time but ultimately it caught up to them and they are not the power they once were. At the same time DL doesn’t want to mess with the King’s chemistry which helped carried them through the playoffs for the two recent Cups. DL has his work cut out for him (Jeff Solomon too). DL is starting to become a bit of a victim of his own success. A good example is the recent development camp which he made sure was under-reported by the usually informative Kings writers and bloggers. He didn’t want other organizations to get “free information” about the King’s prospects. He knows it will be difficult to protect all the talent he is amassing within the organization. Prokhorkin is a big talent and will hopefully land in the King’s lineup within the next couple of years, however there is no hurry at the moment. How spoiled we’ve become as Kings fans. Granted, it’s hard to argue with two Cups in three years. Because we’ve always been such a loaded offensive team? I just don’t see it that way. The moment someone gets injured next year, we’re going to be wishing we had Prokhorkin available. Dean needs to fight to get this guy over here this year. At the very least, Prokhorkin would benefit from getting time on the smaller ice surface. Now, if Zykov or Jordan Weal can step up during injury and play at that level, it’s not so bad, but I don’t think anyone believes either of those two are at Prokorkin’s level yet. We need this guy over here now. And no, not in Justin Williams place. Williams is a key player for us, and neither Prokhorkin or even Toffoli has proven they can do what he does yet. This is a win now team. If Williams has a few years of top six play in him, and it looks like he does, then you keep him around for that. It’s not like you’re going to be able to trade him for a younger, better player. You’re looking at draft picks from another contender, which would make no sense for a team that wants to win now like us. That’s why the idea was stupid when Mayor suggested it last offseason, and it looks even stupider now that Williams won the Smythe. JW was underperforming during the regular season and that is why he was being shopped by the Kings and also why there were no serious takers. Being dropped to the third line with Stoll and King helped him immensely as Kopi’s line consistently draws the opponents top D-pairing. He was terrific in the playoffs but no better than Kopi, who was worn out by the end of the Chicago series, Gaborik who scored about as many key goals, and Carter who was also scoring and killing penalties effectively. Yes, JW was very, very, good in the playoffs but keep those other things in mind. DL would not bring Prokhorkin up and into the top-six unless there were to be an injury, and by the way, Shore is a lot more likely to be brought up to the big club sooner than Zykov. Remember DS was stubbornly refusing to play a more talented AM over Greene and others and not inserting TP into the line-up. TT was also being held back at times by DL’s preference for veteran players. 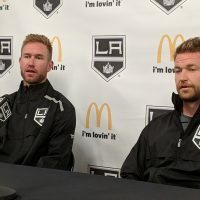 Those three players proved to be instrumental in the Kings winning the Cup and should make the team better offensively out of the gate this season. DS can no longer ignore what they bring to the line-up. The Mayor was simply reporting what was going on behind the scenes with DL and the organization as much as he was “advocating” trading JW. One, Williams was 100% shopped at the trade deadline. He was the right guy to shop all along and Lombardi knew it. With one year left on his contract and Sutter’s refusal to put Toffoli in a top-6 role, that was the move to make. Two things changed. First, they couldn’t get the defenseman they wanted for Williams (actually JW + a package), so it was time to re-think the line-up. Then, once Dean convinced Sutter to play the kids (Tfoffoli and Pearson) more so they were ready for the playoffs, everything fell into place. Second, Toffoli has more than earned a roster spot. Prokhorkin has not. And there is NO WAY he means more to the current Kings roster than Toffoli. When Prokhorkin finally comes to North America, he’s almost surely going to the AHL to get acclimated to the Kings system, etc. Fans can try to argue who is better, based on who is their favorite, etc. However, sometimes, a few of the readers (not even saying people in this thread, just a general statement) amuse me. 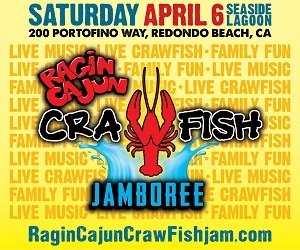 This isn’t a rumor site. It’s not a message board where people just dream stuff up. MM reports facts and shares what our sources within the team are saying is going on. You don’t have to like it or agree, but that’s why Lombardi is the GM and has a staff of people to help him make decisions. For example, in addition to JW being shopped, some people were confused (and wanted to argue) when MayorsManor reported that Dean’s top priority at the deadline was to get a defenseman. That’s what he was doing – even if fans didn’t understand or agree. The team desperately wants a shutdown defenseman to play with Voynov. They’ll let McNabb give a shot for the first few months of the season… and if it doesn’t work out, look for a trade come early 2015. Finally, it wouldn’t surprise me if Jordan Weal never plays a game for the LA Kings. He just isn’t in their plans. 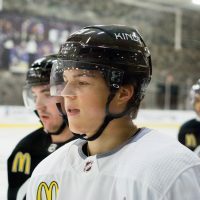 Nick Shore is the future 3C and the Kings love (LOVE) Zykov, but has a very small chance of making the team out of camp. Thus, he won’t be in a Kings uniform until 2015-16 at the earliest. Sadly, he’s stuck in the gray zone – where he’s too young for the AHL and too good for junior hockey (just like Brayden Schenn was many years ago).